Catholic Schools Week was a blast! It was celebrated Jan. 28 through Feb. 3 and the week was full of prayer, learning, hard work, and fun at St. James Cathedral School in Orlando. There were many activities that took place throughout the week that helped the students grow as individuals and as a community. One of the days focused on vocations. Guest speakers came in and shared a little bit about what they do and how the students could follow in their footsteps. The hilarious Sister Immaculata Knox, R.S.M., came to share her ideas about her ministry and how, even the youngest, could get involved with the Church. Seminarian Tom Pringle shared how he had a calling that pointed him to the Holy Spirit’s workings on Earth. Sister Lisa Valentini, M.S.C. shared her funny, but touching journey of going on missions, specifically to the Dominican Republic, and how her work has affected so many lives. Students were able to see – through those who have dedicated their lives to God – that God’s call can come to anyone, young or old. The speakers’ lives helped students reflect on their own relationships with God. 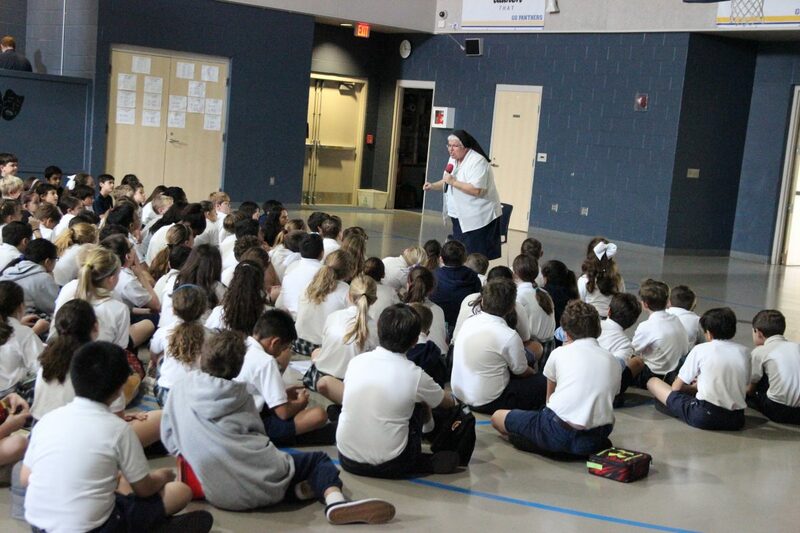 Catholic Schools Week gave students the opportunity to learn about God working in their lives and the lives of others. It was an incredibly fun and productive week! Article written by Katerina and Sophia, eighth grade students at St. James Cathedral Catholic School, Orlando. Photo taken by Ms. Jensen.